A very clean place with over 100 feet on Tawas Lake. 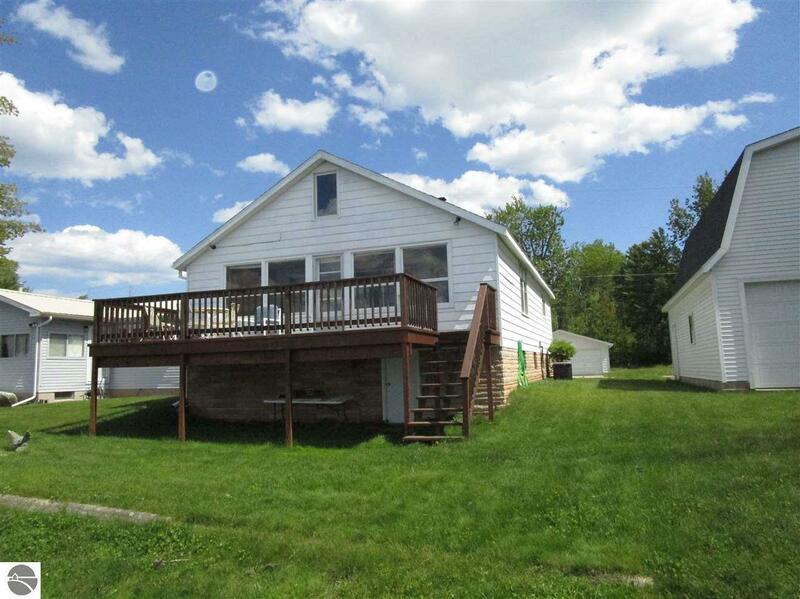 Home features 2 bedroom, 1 1/2 baths, open living area with cathedral ceilings/ knotty pine, beautiful natural fireplace, a bright 6.6 x 25 sunroom with 10 x 25 deck over looking your view of the lake. And home sits on a full unfinished clean & dry walk out basement. Property also includes a 24 x 32 2 story garage and another lot across the street with a 24 x 24 garage. Waterfront Details: Priv Frontage (Wtr Side), Inland Lake, Water View, Soft Bottom, Sandy Bottom, Public Lake, Yes, 101 Ft.